Do you want to go somewhere exotic and beautiful, but don’t know where to go? Well, this article will give you tons of suggestions for any kind of environment that you want to be in. Here are three different kinds of places that you can go. There are beautiful, sandy beaches, places with amazing scenery, and places with famous landmarks. This article is perfect to help you decide where you want to go on your next trip. Imagine yourself sitting in a nice bungalow looking out into the sparkling, blue ocean. If you want to travel to a beautiful beach resort, then Costa Rica is the place to go. In Costa Rica, there are some really amazing places to stay. They have overwater bungalows or an atoll, and they have beautiful resorts and hotels that will make your stay that much more amazing. 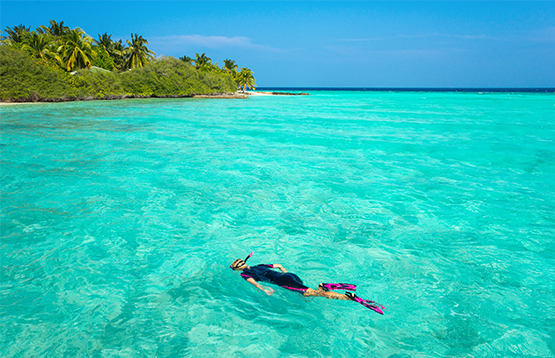 From an overwater bungalow, you can see the clear, blue ocean stretching out in front of you. One of the many activities you can do in Costa Rica is going in the hot springs near a volcano. It’s a perfect way to relax and it’s something that most people don’t get to experience in their lives. Another adventure that you can go on is exploring Costa Rica’s many wildlife parks. Costa Rica is known for its monkeys and sloths, and it’s inhabited with many dense rainforests. You can go through the wildlife parks and see animals, plants, and other fascinating things. Costa Rica is a really great option if you want to relax and explore on your next vacation. This next place is perfect if you want to see huge and impressive landmarks. Rome has lots of sightseeing spots and tourist attractions. Rome is filled with ancient ruins and buildings that have lasted for thousands of years. Rome has beautiful landmarks such as the Pantheon, St. Peter’s Basilica, the Trevi Fountain, the Colosseum, and many more. Rome, and all of Italy, is also known for its amazing Italian food. You can go to most any restaurant and order pizza or pasta and be blown away. You can rent a really nice apartment for the duration of your stay in Rome. There are lots of small but modern and impressive places to stay around this amazing city. You can tour around the city itself, or go to specific spots during your stay, but there is always more to see. Rome is the perfect spot to travel because it has good food, amazing landmarks, and some great places to stay. If you aren’t looking for a sandy beach resort or places with amazing landmarks and you are looking for places to go for stunning pictures, you should definitely visit Santorini, Greece. 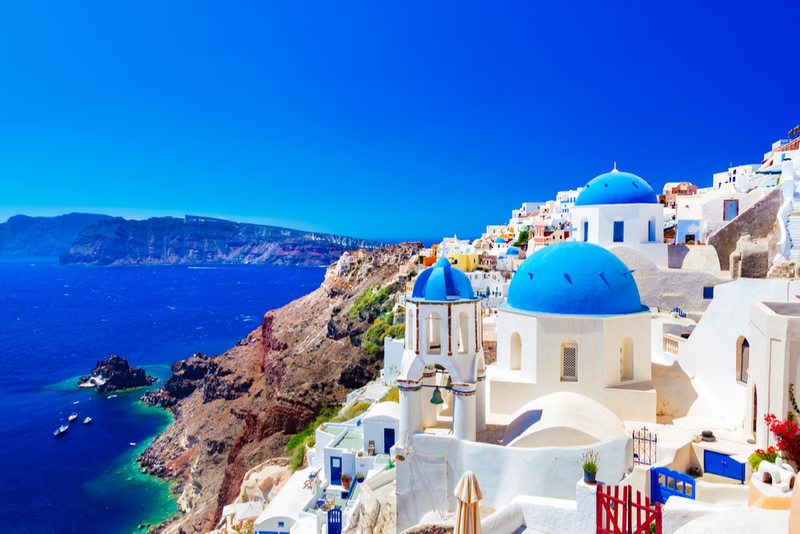 Santorini is known for its breathtaking sunsets, beautiful churches, and their amazing food. Some of the churches that you can visit are the Panagia Episkopi, Anastasi Church, and many more. As it states above, the food in Santorini is amazing. Restaurants such as Meltini in Oia have great priced food and they serve food that will melt in your mouth. They serve Greek style foods and are vegetarian-friendly. Santorini is also a place for great pastries and cute tourist shops. Overall, Santorini is a life-changing experience that will last for a lifetime. In conclusion, there are three different kinds of places, but they are all equally amazing places to go on vacation. There are beautiful and relaxing beaches, places with ancient and impressive landmarks, and places with amazing scenery. All of the places that we listed would be the perfect way to spend your summer or your break. Costa Rica, Rome, and Santorini are some of the most gorgeous places around the world and would all be an amazing choice for your next stop around the world.